Wolff on Ferrari drivers: "It’s not an easy situation, we have been there"
Toto Wolff is a man with experience when it comes to having two elite level drivers at his disposal and the Mercedes boss has weighed in on the situation at Ferrari, admitting he understands the decisions that have been made. During the Chinese Grand Prix, Sebastian Vettel was allowed to pass his teammate, Charles Leclerc despite the Monegasque claiming he was pulling away. Vettel went onto finish third whilst Leclerc was the victim of a strategy error and finished fifth behind Max Verstappen. 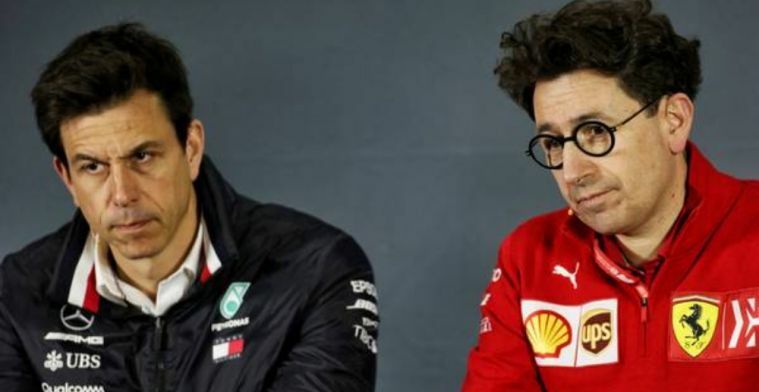 Having been in the middle of the infamous rivalry between Lewis Hamilton and Nico Rosberg in 2016, following the race Wolff said: “It’s a tricky situation of course because you would like to have the quicker car hunting down your opponents,” Wolff said after the Chinese Grand Prix. “Sebastian said that he had the quicker car at that stage, so they reverted the order. “I can understand that somehow. “Nevertheless, once you start doing these things, it becomes very complicated, because you start to set a precedent and you’re opening up a can of worms. Gerhard Berger says "Lewis is the first driver I put on the same level as Ayrton"